Giuseppe Scapinelli was born in Modène in 1911. From a noble Italian family, he qualified as an architect in 1941. In 1948 he left Italy for São Paulo and worked as an architect for Francesco Matarazzo, an Italian/Brazilian businessman who in 1946 had founded the Art Museum of São Paulo and instigated the eponymous Biennale five years later. At that time Scapinelli mixed with all the important paulista and worked for the most eminent city families. 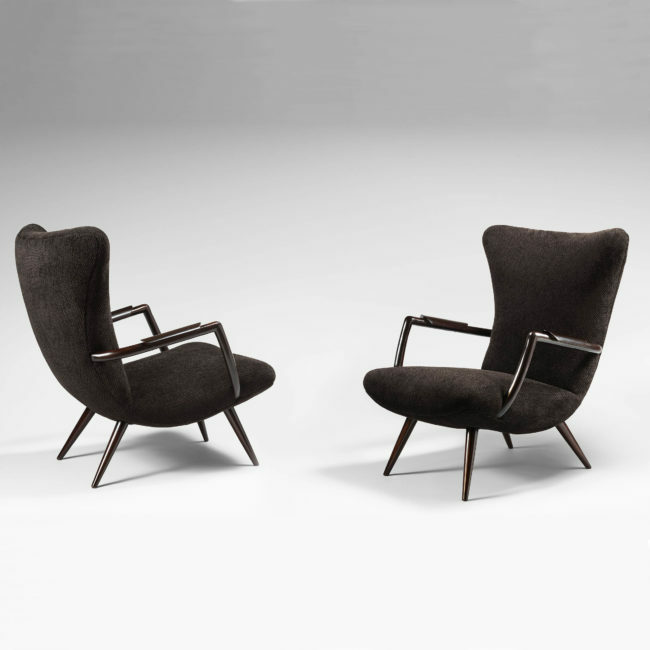 In 1950 he founded his own agency and promoted modern style without however abandoning the classical principles he had assimilated in Italy. An article devoted to him in Casa & Jardin (no. 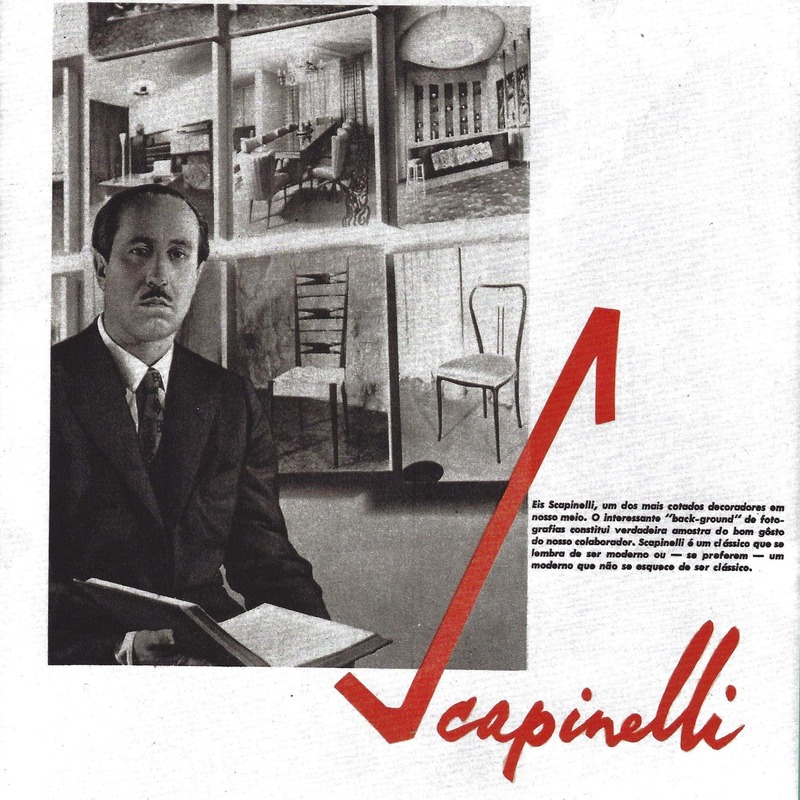 10, 1954) described him as ‘a classicist who remem- bers to be modern, or if you prefer, a modernist who does not forget to be classical.’ Even though his dynamic lines are influenced by the streamline industrial aesthetic, Giuseppe Scapinelli’s pieces, throughout his career, are characterized by execution of extremely high quality and craftsmanship. In the mid 1950s Scapinelli opened the Margutta gallery and exhibited both his own and others’ creations. In his work, design perfectly transposes thought. Rigorous and precise, Giuseppe Scapinelli works in true harmony with his artisans most of whom are Italian expatriates. His output, although individual and easily identifiable, nonetheless evokes the biomorphism of Carlo Mollino or the line of Isamu Noguchi; his table Agua is a perfect example of this. Scapinelli’s decorative work exudes sensuality. He plays with the expressive nature of wood – particularly the caviuna, his favourite species. 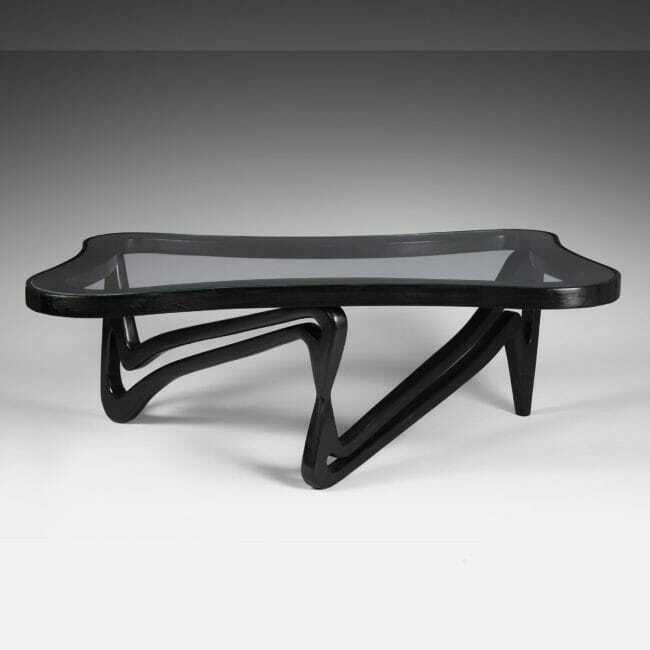 His vigorous lines transcend utility and confer a sculptural dimension. His pieces retain the imprint of his original culture, lines and forms in his work recalling certain contemporary Italian creations.